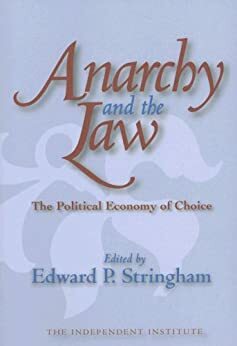 I just purchased Anarchy and the Law: The Political Economy of Choice edited by Edward P. Stringham on Amazon. It is shipping from the Ludwig von Mises Institute warehouse in Colorado. I’m excited to read it as soon as it arrives. Private-property anarchism, also known as anarchist libertarianism, individualist anarchism, and anarcho-capitalism, is a political philosophy and set of economic and legal arguments that maintains that, just as the markets and private institutions of civil society provide food, shelter, and other human needs, markets and contracts should provide law and that the rule of law itself can only be understood as a private institution. To the libertarian, the state and its police powers are not benign societal forces, but a system of conquest, authoritarianism, and occupation. But whereas limited government libertarians argue in favor of political constraints, anarchist libertarians argue that, to check government against abuse, the state itself must be replaced by a social order of self-government based on contracts. Indeed, contemporary history has shown that limited government is untenable, as it is inherently unstable and prone to corruption, being dependent on the interest-group politics of the state’s current leadership. Anarchy and the Law presents the most important essays explaining, debating, and examining historical examples of stateless orders. Section I, “Theory of Private Property Anarchism,” presents articles that criticize arguments for government law enforcement and discuss how the private sector can provide law. In Section II, “Debate,” limited government libertarians argue with anarchist libertarians about the morality and viability of private-sector law enforcement. Section III, “History of Anarchist Thought,” contains a sampling of both classic anarchist works and modern studies of the history of anarchist thought and societies. Section IV, “Historical Case Studies of Non-Government Law Enforcement,” shows that the idea that markets can function without state coercion is an entirely viable concept. Anarchy and the Law is a comprehensive reader on anarchist libertarian thought that will be welcomed by students of government, political science, history, philosophy, law, economics, and the broader study of liberty. Edward P. Stringham is professor of economics at San Jose State University and a research fellow at The Independent Institute. He is president of the Association of Private Enterprise Education, editor of the Journal of Private Enterprise, and the editor of Anarchy, State, and Public Choice. For other books I have read on libertarian anarchism and my thoughts on (some of) them, see the Works Page of this blog. UPDATE 08/30/2013: It arrived this morning, less than three days after I purchased it! Expected delivery was September 4, 2013 – September 19, 2013! Great service. I intend to begin reading it this weekend after I finish Solomon Northup’s book Twelve Years a Slave. Categories: All, Anarchism, Economics, History, Libertarian Theory | Tags: Anarchism, Anarcho-capitalism, Anarchy, Economics, Edward P Stringham, History, Libertarianism | Permalink. Michael Huemer is Professor of Philosophy at the University of Colorado at Boulder, where he has worked since 1998. He is also an anarcho-capitalist. His book “The Problem of Political Authority: An Examination of the Right to Coerce and the Duty to Obey” is divided into two parts. The thesis of Part One is that no government (nor other person or group) genuinely possesses the special moral status called political authority. I already agreed with the thesis before I began reading, but I must say that I have never seen it argued so well. I interrupt my reading of the book to tell you about it. Huemer bases his argument on common sense moral premises that essentially everyone already accepts. He has said that he believes this approach of arguing for libertarian political views is superior to using rights-based arguments or economic arguments. Two weeks ago I wasn’t so sure. I said that I would wait until I read his book to decide whether or not I agree that the common sense approach to arguing for libertarianism is best. Now that I have read Part One of his book I can say confidently: I agree, definitely. This is the kind of argument that is most likely to be effective at converting the masses of intelligent people to libertarian anarchism. I’ve read almost every major work of libertarian political philosophy ever published. In my view, Michael Huemer’s new The Problem of Political Authority: An Examination of the Right to Coerce and the Duty to Obey is the best book in the genre. I assumed this was exaggerated, but surprisingly it may not be. Of the books I have read, including Murray Rothbard’s “For a New Liberty,” David Friedman’s “The Machinery of Freedom,” Gary Chartier’s “The Conscience of an Anarchist,” Gerard Casey’s “Libertarian Anarchism: Against the State” and many essays and other works related to libertarianism including classics such as Lysander Spooner’s famous essay “No Treason: The Constitution of No Authority,” Part One of Michael Huemer’s “The Problem of Political Authority” is simply the best. Whether you are a libertarian or not, you should purchase a copy of Michael Huemer’s “The Problem of Political Authority: An Examination of the Right to Coerce and the Duty to Obey.” I recommend it, more highly than I’ve ever recommended any book, essay, article, or other work before. After you buy it on Amazon, you can read the first chapter which is available online. Now I am going to read Part Two, in which Huemer argues the practical case for anarcho-capitalism. His thesis is that “a livable society could exist with no recognized central authority.” Note that, in addition to the thesis of Part One, it is necessary to argue this thesis to convert the reader to anarcho-capitalism, because without it minimal state libertarianism would be justified since common sense morality dictates that aggressive coercion can be justified if it is necessary to avoid a sufficiently great harm. Huemer’s lead essay for Cato, “The Problem of Authority,” which summarizes the content of his book well, elaborates on the need for this second thesis. UPDATE 08/21/2013: I finished reading Mike Huemer’s The Problem of Political Authority today. It is better than any other book on libertarian political philosophy I have read. I highly recommend it. I really think his “common sense morality” approach to defending libertarianism (as opposed to the rights-based approach or the consequentialist economic argument approach) is most likely to be the most effective way to persuade people to reject political authority and embrace libertarian anarchism. 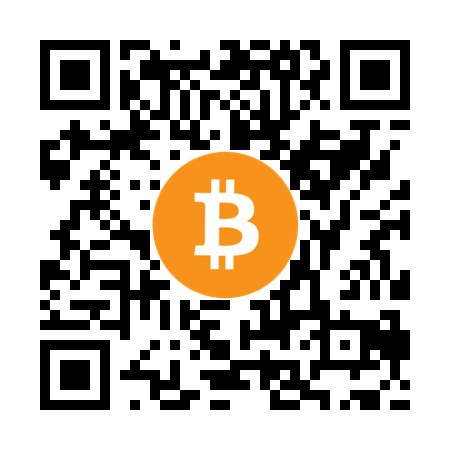 Categories: All, Anarchism, Economics, History, Libertarian Theory, News and Current Events, Random Musings, Taxation | Tags: Activism, Anarchism, Anarcho-capitalism, Anarchy, Competition, David Friedman, Economics, Free Market, Gary Chartier, Justice, Libertarianism, Lysander Spooner, Market Anarchism, Michael Huemer, Murray Rothbard, Peace, Property Rights, Social Problems, Taxation, Theft, Voluntaryism | Permalink. Michael Huemer is a Professor of Philosophy at the University of Colorado at Boulder and is the author of the book The Problem of Political Authority: An Examination of the Right to Coerce and the Duty to Obey. The following is the body of an email I sent to him questioning the specifics of the criteria he uses to determine whether or not the relative consequences of not having a particular rights-violating government program are bad enough to justify having the program. His response can be found here. Allow me to clarify: Why? Because a society without law and order (a Hobbesian war) is a sufficiently disastrous outcome that aggression would be justified to avoid it. Is a road-less society or a society with poor water supply a sufficiently disastrous outcome that a minimal-road-building state or a minimal-water-supply-system state would be justified to avoid it? In other words, if the critics were right that there would be very few roads in a stateless society, would a minimal-road-building state be justified? As another example, if it were true that there would be very few schools and most people would be much less educated than they are today in a stateless society, would a minimal-school-system state program be justified? To generalize this question: How bad must the free market disaster outcome be to justify extortion-funded state program intervention? I am not sure how to answer this question. If this is the solution we pick then the task of the anarcho-capitalist ideologist is to show that no aggressive government program is “highly likely to lead to much better consequences” than the consequences that would occur without the aggressive government program. See Prof. Mike Huemer’s response here. The title of this post may sound contradictory. To clarify, it uses the term “justify” in the same way that Mike Huemer uses the term when talking about how minimal states would be justified if it were true that anarchy would necessarily be a Hobbesian war of all against all. The term “unjust” is used to refer to government activity that involves violating peoples’ rights as defined by libertarian principles. I believe the law should always uphold peoples’ rights, but if we lived in a world in which the consequences of the law upholding peoples’ rights all the time were somehow very terrible then I would be willing to consider making an exception and support making it legal to violate someone’s rights in order to avoid this terrible outcome. But how terrible would this outcome have to be for me to support making it legal to violate a person’s rights? Hence the title question, since all states necessarily make it legal to violate peoples’ rights by definition, since all states make it legal for them to imposes taxes on their subjects and outlaw competing rights-enforcement agencies, both of which necessarily involve employing aggression. (2) How Bad Would Anarchy Have to be to Justify Unjust Government Activity? Categories: All, Anarchism, Economics, Libertarian Theory, News and Current Events, Taxation | Tags: Anarchism, Anarcho-capitalism, Anarchy, Economics, Free Market, Michael Huemer, Peace, Property Rights, Social Problems, Voluntarism | Permalink. This lecture was delivered at the University of Texas at Austin on April 7, 1980. It was recorded by Jim Cartwright, who subsequently marketed it as three audio cassettes. The lecture was recently edited and converted into an MP3 audio file with meticulous care by Bill Courtney. Overall I thought it was a very good lecture. I especially liked how Hummel stressed the importance of “ideological” factors (see 56:34 to 1:10:45 in the video). I agree with him that these ideological factors can play a very significant role in determining whether a government can be imposed on a given society or not, either from within or from the outside via a foreign state. If Hummel’s position is correct, as I believe it is, then improving these ideological factors can be an effective way to strengthen the “national defense” of a society. In a libertarian anarchist society the ideological factors would likely be so strong against statism that it is very unlikely that the society would ever be ruled by a government again. The ideological factors would have to change again, but that would be about as likely as people in America in the future deciding to enslave black people due to a belief that black people are inferior to white people. Just as that form of slavery will almost definitely never be accepted again by our society, so to would governments never again be accepted once we achieved a libertarian anarchist society. If a foreign state could not take power once it invaded a libertarian anarchist society—if a foreign state could not extract taxes from people once it invaded or enslave them or do any other parasitic governing—then it would have little incentive to invade. The amount of national defense that a libertarian anarchist society would need to deter attack would therefore probably be much less than the amount needed in an equivalent statist society, since there would be no power structure to take over and profit from. If a state attempted to invade the anarchist society anyway then it would soon find that it could not succeed since the population would refuse to be ruled. Upon learning this, the invading state would eventually have to stop waging its costly war against the society. I have collected several quotes in the How to Achieve a Free Society section of my Quotes page on the subject of governments requiring the voluntary support of many of the population they rule in order to maintain their power. Governments cannot form without this support and whenever they lose it they lose their power and collapse. No government can maintain its power using brute force alone. Once one gains an understanding of the sources of state power it becomes easier to see how to get rid of governments. Further, it makes it clear why the ideological factors in a libertarian anarchist society would probably be an insurmountable obstacle for a foreign state looking to conquer a libertarian society. The state would probably only be able to succeed if it was far larger than the libertarian society and had far more resources to employ and if its population was sufficiently bent on invading the libertarian society. Even then, if the ideological factors were ideal in the libertarian society, I am skeptical that the invading state would be able to successfully impose its rule. To better understand why I am skeptical, let’s see those insightful quotes I mentioned on a significant source of government power. Also see the 6-minute viral animated video The Tiny Dot by Larken Rose. Categories: All, Anarchism, Economics, History | Tags: Anarchism, Anarcho-capitalism, Anarchy, Economics, Free Market, History, Jeffrey Hummel, National Defense, Public Goods | Permalink.